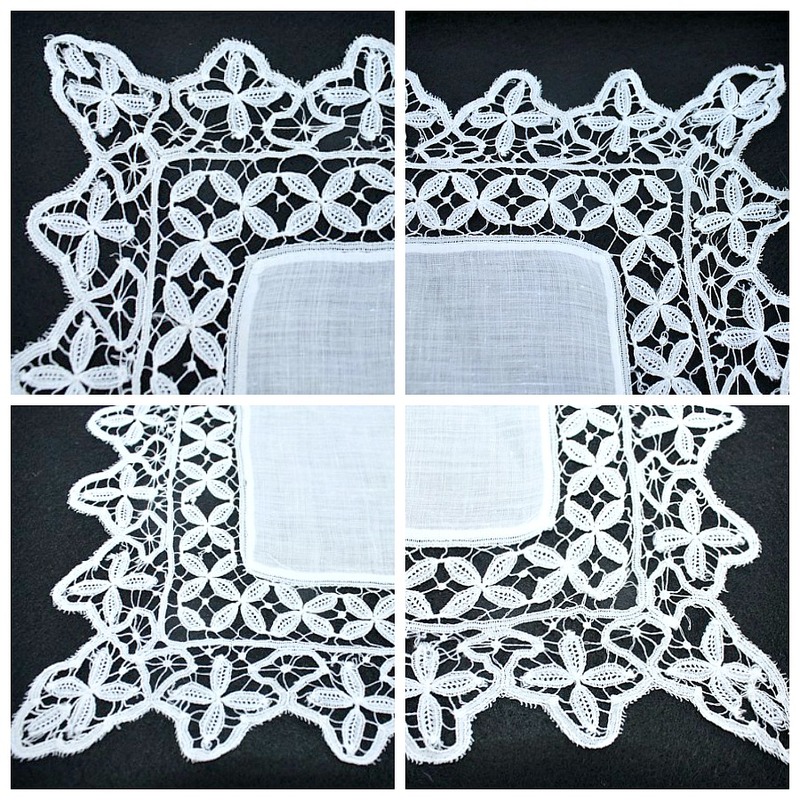 Glorious antique Wedding Handkerchief made of finest sheer Cream White Linen Lawn, adorned with hand made 19th century Belgian Tape Lace, so delicate and fine, it is a piece of art. The front is just as beautiful as the back, a masterpiece of the Belgian Lace Artists. A few broken brides as shown, easily fixed should you be so inclined, they do not detract from the gorgeous lace. Exquisite and very romantic handkerchief to gift to a special Bride, the perfect "something old". Add this to your collection of antique linen and lace, this is truly a museum worthy piece and will be a cherished heirloom to pass down to future generations. Dates to mid 1800's.